The original building from the year 1430. Rebuilt by the Carmelites in 1729, and then by the Evangelicals in 1819 to the status quo. In 1997 the Church taken over by the Catholic Bishop of Legnica t. Fisherman and dedicated to the Church. Of the most Holy saviour of the world and our Lady of the Scapular. 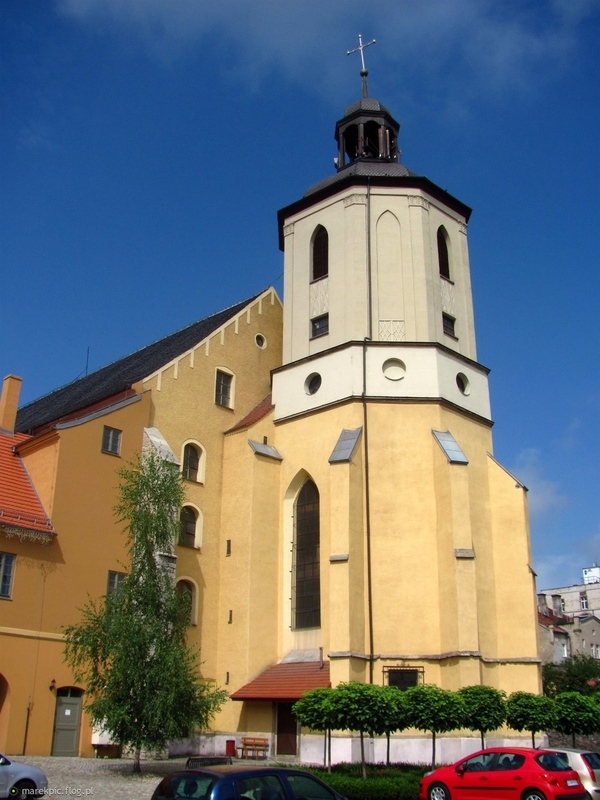 From this Church comes rich altar of szkaplerzny currently located in the Church of St. St. Peter and St. Paul. The most valuable monument of the originating from the times karmelickich: our Lady of the Samotrzeć is located in the National Museum in Wrocław. The monastery, an integral part of the complex.